I have a viewport with foreground rendering set to Final Quality Renderworks. Is there a way to pick up the rendered color of the object and use it as the dimension text background fill? I'm doing the color pick up, it looks correct in the magnified color pickup tool circle, but the results are nor the same as you can see. Workarounds that don't work are: Using a fill of none in the dimension text exposes the witness line through the text, and ungrouping the dimension and dealing with that is too much time, and it kills the fraction text. Great suggestion joerg. I tried a HEX color picker. It is close, but not exact. I need to find another color picker that picks RGB. This may be close enough. I need to show my wife since I'm color blind. I can see a slight difference though. I never trust my eyes! That one does not work. I'll keep looking. I need one that picks RGB from anywhere on the screen. Skaia is nasty to remove. Nope. No luck I'm convinced Vectorworks translates the colors somehow. I recall Jim mentioning this on some other post I made. The HEX color picker got me closer than any other. I'm still looking for a solution. 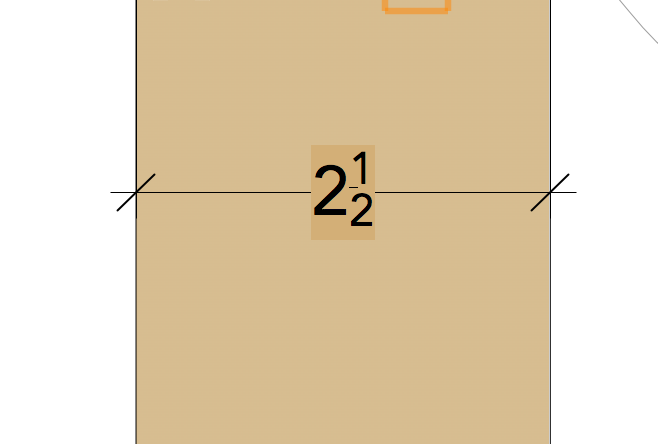 Not what you want to hear, but the easiest solution would be to change the dimension style so the numbers are above or below the line rather than in the middle and then use None fill. Anything else you are probably going to have an ongoing fight with. 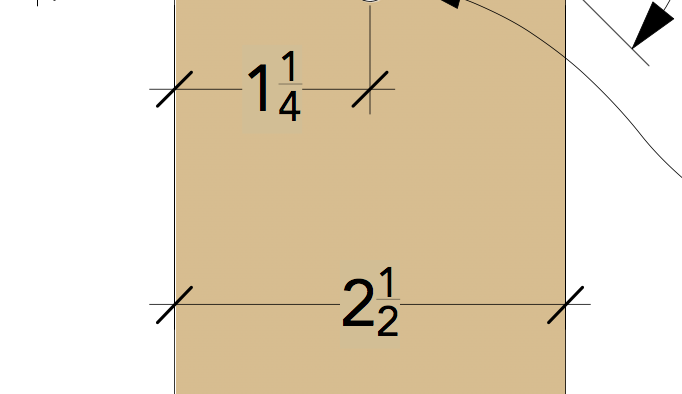 Next simpler option would be to use a dimension standard with no line at all and draw in the lines. If I was to do this, I would probably do a polyline with 3 segments and then use the Reshape tool to turn off the visibility of the middle section. That way you only have 1 object to move with the dimension, not 2. Except for the fact that I can't figure out how to make a dimension that does not use the dimension line, so my second option is out. Maybe you need a custom PIO to do your dimensions rather than the standard dimension tool. Not soon, but maybe soonish? If you don't hear back from me in a week or so, please ping me and remind me. Why doesn't Vectorworks handle these colors correctly? The color picker sees the color correct, I enter the numbers, but Vectorworks shows a different color, close but different. Wouldn't it be better for Vectorworks to manage the colors correctly? Isn't that the correct solution? VW should handle it better and do what you want. There is lots of mumbo jumbo I could throw at you about color spaces and 8 vs 16 bit color, but none of that matters. VW should be able to pick a color and directly reproduce it. I think the render is using "more" colors than 2D in VW can use. What happens if you render in OpenGL and try the color picker thing? Or change the color slightly and do the color picker thing in FQRW? Even in an overly simplified example, where I place two crossing rectangles, assign a random color to one and then try to use the color picker to assign it as the fill of the other fails. I get a shade that's close to the original but it always seems to come out darker. Eyedropper to extract the fill color from one to the other works of course, but that would only be a workaround in a few cases. Submitting this as a bug now. There are a lot of weird underpinnings of how we use RGB and CMYK but even with those things considered, I would think color picker should be able to take a color from one object and apply it to another and visually the color should be identical even if the RGB values are 1 or 2 points off. I agree. That is how every photo and illustration app works. What good is it if you pick up a color, use those numbers, and the resulting color is different.